76) Mochamad AdhiragaPratama, Minoru Yoneda, Yosuke Yamashiki, Yoko Shimada, Yasuto Matsui. (2018). Modeling and identifying the sources of radiocesium contamination in separate sewerage systems, Science of The Total Environment, Volumes 622–623, Pages 1098-1108. 75) Yamazaki,Y., H., Ishida, M., Hinokio, R., Yamashiki, Y. A., & Azuma, R. (2018). Spatiotemporal distribution and fluctuation of radiocesium in Tokyo Bay in the five years following the Fukushima Daiichi Nuclear Power Plant (FDNPP) accident. PloS one, 13(3), e0193414. 72) P.G. Martin, O.D.Payton, Yosuke Yamashiki, D.A. Richards, T.B. Scott. 2016. High-resolution radiation mapping to investigate FDNPP derived contaminant migration. Journal of Environmental Radioactivity 164:26-35. 71)P.G. Martin, Simon Kwong, Nick Smith, Yosuke Yamashiki, F. Russell-Pavier, John Fardoulis, D.A. Richards, T.B. Scott. 2016. 3D unmanned aerial vehicle radiation mapping for assessing contaminant distribution and mobility. International Journal of Applied Earth Observation and Geoinformation 52(1). 70) Kenichi Tatsumi, Yosuke Yamashiki, Anggie Karolin Morales Morante, Lia Ramos Fernandez, Ricardo Apaclia Naivarte. 2015. Pixel-based crop classification in Peru from Landsat 7 ETM+ images using a Random Forest model. Journal of Agricultural Meteorology 72 (1): 1-11. 69) P.G. Martin, I. Griffiths, C.P. Jones, C.A. Stitt, M. Davies-Milner, J.F.W. Mosselmans, Y. Yamashiki, D.A. Richards, T.B. Scott. 2016. In-situ removal and characterisation of uranium-containing particles from sediments surrounding the Fukushima Daiichi Nuclear Power Plant. Spectrochimica Acta Part B: Atomic Spectroscopy 117 (1): 1-7. 68) Shinichiro Kida, Yosuke Yamashhiki. 2015. A layered model approach for simulating high river discharge events from land to the ocean, Journal of Oceanography. DOI: 10.1007/s10872-014-0254-4. 67) Mochamad AdhiragaPratama, Minoru Yoneda, Yoko Shimada, Yasuto Matsui, Yosuke Yamashiki (corresponding author). 2015. Future projection of radiocesium flux to the ocean from the largest river impacted by Fukushima Daiichi Nuclear Power Plan. Scientific Reports. (Nature Publishing Group). 5　DOI: 10.1038/srep08408. 66) Kenichi Tatsumi & Yosuke Yamashiki. 2015. Effect of irrigation water withdrawals on water and energy balance in the Mekong River Basin using an improved VIC land surface model with fewer calibration parameters. Agricultural Water Management. 10.1016/j.agwat.2015.05.011. 65) Kenichi Tatsumi, Yosuke Yamashiki, Miguel Angel Canales, Cayo Leonidas Ramos Taipe. 2015. Crop classification of upland fields using Random Forest of time-series Landsat 7 ETM+ data. Computers and Electronics in Agriculture. 10.1016/j.compag.2015.05.001. 64) P.G. Martin, O.D. Payton, J.S. Fardoulis, D.A. Richards, Yosuke Yamashiki, T.B. Scott.2015. Low altitude unmanned aerial vehicle for characterising remediation effectiveness following the FDNPP accident. Journal of Environmental Radioactivity. 151:58-63. 63) Yosuke Yamashiki, Yuichi Onda, Hugh G. Smith, William H. Blake, Taeko Wakahara, Yasuhito Igarashi, Yuki Matsuura, Kazuya Yoshimura. 2014. Initial flux of sediment-associated radiocesium to the ocean from the largest river impacted by Fukushima Daiichi Nuclear Power Plant. Scientific Reports (Nature Publishing Group). 4. 3714; DOI:10.1038/srep03714. 62) Naoko Kimura, Yosuke Yamashiki, Ivica Kisic. 2014. Awareness-raising toward Flood Risk and Building Resilience among Children in Zagreb, Croatia. Hydrological Research Letters.8(1):64-70. 61) Kenichi Tatsumi, Tsutao Oizumi, Yosuke Yamashiki. 2014. Assessment of future precipitation indices in the Shikoku region using a statistical downscaling model. Stochastic Environmental Research and Risk Assessment. DOI: 10.1007/s00477-014-0847-x . 60) Weili Duan, Bin He, Kaoru Takara, Pingping Luo, Daniel Nover, Yosuke Yamashiki and Wenrui Huang. 2014. Anomalous atmospheric events leading to Kyushu’s flash floods, 11-14 July 2012. Natural Hazards. doi 10.1007/s11069-014-1134-3. 59) Kenichi Tatsumi, Tsutao Oizumi, Yosuke Yamashiki. 2014. Effects of climate change on daily minimum and maximum temperatures and cloudiness in the Shikoku region: a statistical downscaling model approach. Theoretical and Applied Climatology. DOI;10.1007/s00704-014-1152-9. 58) Ognjen Bonacci, Ivo Andrić, Yosuke Yamashiki. 2013. Hydrology of the Blue Lake in Dinaric karst. Hydrological Processes. 27. DOI: 10.1002/hyp.9736. (on-line). 57) Kenichi Tatsumi, Tsutao Oizumi, Yosuke Yamashiki. 2013. Analysis of future precipitation change in Shikoku region using statistical downscaling. Journal of Agricultural Meteorology. 69(3): 159-172. 56) Weili Duan, Kaoru Takara, He Bin, Pingping Luo, Daniel Nover, Yosuke Yamashiki. 2013. Spatial and temporal trends in estimates of nutrient and suspended sediment loads in the Ishikari River, Japan, 1985 to 2010. Science of the Total Environment. 461-462:499-508. 55) Weili Duan, Bin He, Kaoru Takara, Pingping Luo, Daniel Noverd, Netrananda Sahu, Yosuke Yamashiki. 2013. Spatiotemporal evaluation of water quality incidents in Japan between 1996 and 2007. Chemosphere. 93:946-953. 54) Kenichi Tatsumi, Yosuke Yamashiki, Kaoru Takara, Eiichi Nakakita. 2013. Reproducibility of Crop Yield Simulated by iGAEZ Model with High-resolution GCM Output. Journal of Agricultural Science and Application. 2(2):124-130. 53) Kenichi Tatsumi, Tsutao Oizumi, Yosuke Yamashiki. 2013. Introduction of daily minimum and maximum temperature change signals in the Shikoku region using the statistical downscaling method by GCMs. Hydrological Research Letters. 7(3):48-53. 52) Pedro Luiz Borges Chaffe, Kaoru Takara, Yosuke Yamashiki, APIP, Luo Pingping, Roberto Valmir da Silva, Eiichi Nakakita. 2013. Mapping of Japanese Areas Susceptible to Snow Cover Change. Hydrological Sciences Journal. http://dx.doi.org/10.1080/02626667.2013.839874. 51) 辰己賢一, 澁澤　栄, 小平正和, 山敷庸亮. 2013. 圃場における将来気候変動が水稲の収量と灌漑水量に与える影響に関する研究. 土木学会論文集G（環境）69(5): I_177-I_182. 50) Yosuke Yamashiki, Marçal Gusmão, Mami Sato. 2013. Potential Agricultural Revolution and Disaster Mitigation through Introduction of Forest-based Agriculture in Timor-Leste, Asian Journal of Environmental Disaster Management (AJEDM). 327-337. 49) Mami Sato and Yosuke Yamashiki. 2013. Land Ownership, Land Use, and Afforestation in Timor-Leste: Towards New Land Claim System. Asian Journal of Environmental Disaster Management (AJEDM). 373-386. 48) Yosuke YAMASHIKI, Mohd Remy Rozainy MAZ, Taku MATSUMOTO, Tamotsu TAKAHASHI, Kaoru TAKARA. 2012. EXPERIMENTAL STUDY OF DEBRIS PARTICLES MOVEMENT CHARACTERISTICS AT LOW AND HIGH SLOPE. Journal of Global Environmental Engineering, JSCE, 17:9-18. 47) Netrananda SAHU, Yosuke YAMASHIKI , Swadhin BEHERA, Kaoru TAKARA, Toshio YAMAGATA. 2012. LARGE IMPACTS OF INDO-PACIFIC CLIMATE MODES ON THE EXTREME STREAMFLOWS OF CITARUM RIVER IN INDONESIA. Journal of Global Environmental Engineering, JSCE, 17:1-8. 44) Bin He, Kazuo Oki, Yi Wang, Taikan Oki, Yosuke Yamashiki, Kaoru Takara, Shingo Miura, Akio Imai, Kazuhiro Komatsu, Nobuyuki Kawasaki. 2012. Stream nutrient characteristic analysis and water quality load estimation with the aid of Quick Bird remote sensing imagery. Hydrological Sciences Journal 57(5):850-860. 43) Tingyeh Wu, Kaoru Takara, and Yosuke Yamashiki. 2012. The Vulnerability Variation from Government Roles in Disaster Risk Reduction Plans for Sediment Disasters in Taiwan. Hydrological Processes 26: 2421-2430. 42) Roberto Valmir da Silva, Yosuke Yamashiki, Kaoru Takara. 2012. Constraining saturated hydraulic transmissivity values by means of maximum saturated area mapping and maximum subsurface discharge: Long-term simulation in the Amazon basin. Hydrological Processes 26:2501-2511. 41) Kenichi Tatsumi and Yosuke Yamashiki. 2012. Sensitivity analyses of crop yields and changes in climate variables simulated with iGAEZ. Hydrological Processes 26:2482-2500. 40) Weili DUAN, Bin HE, Kaoru TAKARA, Pingping LUO, Yosuke YAMASHIKI. 2012. Estimating the sources and transport of nitrogen pollution in the Ishikari River Basin, Japan. Advanced Materials Research. Vols. 518-523:3007-3010. 39) K. Sassa, B. He, T. Miyagi, M. Strasser, K. Konagai, M. Ostric, H. Setiawan, K. Takara, O. Nagai and Y. Yamashiki, et al. 2012. A hypothesis of the Senoumi submarine megaslide in Suruga Bay in Japan -based on the undrained dynamic-loading ring shear tests and computer simulation. Landslides 9(4): 439-455. 38) 辰己 賢一, 山敷 庸亮, 寶 馨. 2012. GCMの不確実性を考慮した気候変動がコムギとトウモロコシの生産量に与える影響評価. 地球環境研究論文. 20: I_221-I_226. 37) Yosuke YAMASHIKI, Mohd Remy Rozainy MAZ, Taku MATSUMOTO, Tamotsu TAKAHASHI, Kaoru TAKARA. 2012. Simulation and calibration of hydro-debris 2d model (HD2DM) to predict the particle segregation processes in debris flow. Journal of Civil Engineering and Architecture. 6(6):690-698. ISSN 1934-7359. 36) 山敷庸亮, 木村直子. 2012. 東京電力福島第一原子力発電所事故由来の放射性核種の海洋環境影響に対する我が国の法的立場. 日本海洋政策学会誌 2: 133-150. 35) 大泉　伝・山敷庸亮・寶馨, 2011. AN APPROACH TO REPRODUCE WATER TEMPERATURE STRUCTURE IN THE GLACIER LAKE IN HIMALAYA (ヒマラヤにおける氷河湖の水温構造再現) , 水工学論文集，土木学会, 55.415-420. 34) Kenichi Tatsumi, Yosuke Yamashiki, Roberto Valmir da Silva, Kaoru Takara, Yuzuru Matsuoka, Kiyoshi Takahashi, Koki Maruyama, Naoko Kawahara. 2011. Estimation of potential changes in cereals production under climate change scenarios. Hydrological Processes, 25(17):2715-2726. 33) Roberto Valmir DA SILVA, Yosuke YAMASHIKI, Kaoru TAKARA. 2011. Evaluating the potential causes of change on discharge of the Amazon basin through residual analysis, Journal of Japan Society of Civil Engineering, Ser. G(Environment), 67(5): I_217-222. 32) 辰己賢一・山敷庸亮・寶馨. 2011. 米のグローバルな収量算定モデルの再現性評価と気候変動影響予測, 地球環境研究論文, 土木学会, 第19巻, pp.I.81-I.90. 31) Netrananda Sahu, Swadhin K. Behera, Yosuke Yamashiki, Kaoru Takara, Toshio Yamagata. 2011. IOD and ENSO Impacts on the Extreme Stream-flows of Citarum River in Indonesia, Climate Dynamics, DOI: 10.1007/s00382-011-1158-2. 30) Pingping Luo, Bin He, Kaoru Takara, Bam H. N. Razafindrabe, Daniel Nover, Yosuke Yamashiki. 2011. Spatiotemporal trend analysis of recent river water quality conditions in Japan, Journal of Environmental Monitoring, 2819-2829. DOI: 10.1039/C1EM10339C. 29) Kenichi Tatsumi, Yosuke Yamashiki, Kaoru Takara. 2011. Effect of uncertainty in temperature and precipitation inputs and spatial resolution on the crop model. Hydrological Research Letters 5:52-57. 28) Bin He, Shinjiro Kanae, Taikan Oki, Yukiko Hirabayashi, Yosuke Yamashiki, Kaoru Takara. 2011. Assessment of global nitrogen pollution in rivers using an integrated biogeochemical modeling framework, WATER RESEARCH, 55:2573-2586. 27) Roberto Valmir DA SILVA, Yosuke YAMASHIKI, Kaoru TAKARA, 2011. EVALUATING A MULTI-VELOCITY HYDROLOGICAL PARAMETERIZATION IN THE AMAZON BASIN, Annual Journal of Hydraulic Engineering, JSCE, 55（水工学論文集，土木学会，第55巻）:49-54. 26) Pingping LUO, Kaoru TAKARA, Bin HE, Wenqiang CAO, Yosuke YAMASHIKI, Daniel NOVER. 2011. CALIBRATION AND UNCERTAINTY ANALYSIS OF SWAT MODEL IN A JAPANESE RIVER CATCHMENT, Annual Journal of Hydraulic Engineering, JSCE, 55 （水工学論文集，土木学会，第55巻）:61-66. 25) Pedro Luiz Borges CHAFFE, Masato KOBIYAMA, Yosuke YAMASHIKI, Kaoru TAKARA. 2010. IS INTERCEPTION INFORMATION IMPORTANT FOR RAINFALL-RUNOFF MODELING?. Annual Journal of Hydraulic Engineering, JSCE, 54（水工学論文集，土木学会，第54巻）: 73-78. 24) Roberto Valmir DA SILVA, Yosuke YAMASHIKI, Kenichi TATSUMI, Kaoru TAKARA. 2010. LARGE-SCALE RUNOFF ROUTING MODELING USING TOPMODEL. Annual Journal of Hydraulic Engineering, JSCE, 54（水工学論文集，土木学会，第54巻）:91-96. 23) Binaya Kumar MISHRA, Kaoru TAKARA, Yosuke YAMASHIKI, Yasuto TACHIKAWA. 2010. AN ASSESSMENT OF PREDICTIVE ACCURACY FOR TWO REGIONAL FLOOD-FREQUENCY ESTIMATION METHODS. Annual Journal of Hydraulic Engineering, JSCE, 54（水工学論文集，土木学会，第54巻）:7-12. 22) Tingyeh WU, Kaoru TAKARA, Yosuke YAMASHIKI. 2010. A CASE STUDY OF VULNERABILTY ASSESSMENT IN THE SEDIMENT HAZARDOUS AREA BY DECISION ANALYSIS. Annual Journal of Hydraulic Engineering, JSCE, 54（水工学論文集，土木学会，第54巻:13-18 . 21) 山敷庸亮・辰己賢一・鈴木琢也・Roberto V. DA SILVA・寶馨. 2010. 世界流域テータベースの利用による大陸河川における流出解析に関する研究, 水工学論文集，土木学会，第54巻:481-486. 20) Yosuke Yamashiki, Masato Kato, Kaoru Takara, Eiichi Nakakita, Michio Kumagai, Chunmeng Jiao. 2010. Sensitivity Analysis on Lake Biwa under the A1B SRES climate change scenario using Biwa-3D Integrated Assessment Model: part I – projection of lake temperature. Hydrological Research Letters 4:45-49. 19) APIP, Kaoru Takara, Yosuke Yamashiki, Kyoji Sassa, Ibrahim Agung Bagiawan, Hiroshi Fukuoka. 2010. A distributed hydrological-geotechical model using satellite-derived rainfall estimates for shallow landslide prediction system at a catchment scale. (international journal of ) Landslides. DOI 10.1007/s10346-010-0214-z. 18) APIP, Takashi Sayama, Yasuto Tachikawa, Kaoru Takara, Yosuke Yamashiki. 2010. Assessing sources of parametric uncertainty and uncertainty propagation in sediment runoff simulations of flooding. Journal of Flood Risk Management. 3. 270-284. 17) Binaya Kumar Mishra, Kaoru Takara, Yosuke Yamashiki, Yasuto Tachikawa. 2009. ESTIMATION OF INDEX FLOOD IN HYDROLOGIC REGIONS WITH LIMITED FLOOD DATA AVAILABILITY. Annual Journal of Hydraulic Engineering, JSCE, 53（水工学論文集，土木学会，第53巻）:55-60. 16) Nanshan Zheng, Kaoru Takara, Yosuke Yamashiki, Yasuto Tachikawa. 2009. ASSESSING VULNERABILITY TO REGIONAL FLOOD HAZARD THROUGH SPATIAL MULTI-CRITERIA ANALYSIS IN THE HUAIHE RIVER BASIN, CHINA. Annual Journal of Hydraulic Engineering, JSCE, 53（水工学論文集，土木学会，第53巻）: 127-132. 15) 中山恵介,角谷和成,古川恵太,宮澤功,山敷庸亮,丸谷靖幸. 2009. 斜面上での内部波の砕波形態と物質輸送. 水工学論文集，土木学会. 53:1321-1326. 14) Binaya Kumar Mishra, Kaoru Takara, Yosuke Yamashiki, Yasuto Tachikawa. 2009. Hydrologic simulation aided regional flood frequency analysis of Nepalese river basins. Journal of Flood Risk Management 2(4): 243-253. DOI: 10.1111/j.1753-318X.2009.01041.x. (2012 Impact Factor 1.492). 13) 中山恵介, 宮澤功, 山敷庸亮, 宮澤兼佑, 金刺俊之. 2007. 一様な斜面上で砕波する内部ケルビン波により誘起される流れ. 水工学論文集，土木学会. 51: 1385-1390. 12) Chizuru Satoh, Keisuke Nakayama, Yosuke Yamashiki, Toshiyuki Kanesashi, Kensuke Miyazawa. 2007. Development of a Conceptual Model for Dissolved Oxygen Concentrations considering Flood Event Effects in Tokyo Bay. Annual Journal of Hydraulic Engineering, JSCE, 51（水工学論文集，土木学会，第51巻）:199-204. 11) Sabrina Barker, Richard Robarts, Yosuke Yamashiki, Kuniyoshi Takeuchi, Chihiro Yoshimura, Ana Cristina Muguetti.2007. 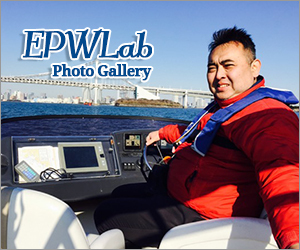 UNEP-GEMS/Water Programme – water quality data, GEMStat and open web services – and Japanese cooperation. Hydrological Processes. 21(9): 1132-1141. 10) 黒澤美幸, 山敷庸亮, 手塚哲央. 2007. 環境保全型の水稲栽培におけるエネルギー消費量と環境負荷削減効果の推計. 日本ＬＣＡ学会誌,日本ＬＣＡ学会. 3(4): 232-238. 9) 中山恵介, 古川恵太, 宮澤功, 山敷庸亮. 2007. 斜面上での内部波の砕波機構と残差流, 海岸工学論文集. 54: 376-380. 8) Yosuke Yamashiki, Takehiro Nakamura, Miyuki Kurosawa, Saburo Matsui. 2006. Ecosystem approach to mitigate impacts of sedimentation on the hydrological cycle and aquatic ecosystem, Hydrological Processes, 20(6):1273-1291. 7) Paulo Chaves, Toshiharu Kojiri, Yosuke Yamashiki. 2003. Optimization of Storage Reservoir considering Water Quantity and Quality. Hydrological Processes. 17(14): 2769-2793. 6) Yosuke Yamashiki, Michio Kumagai, Chunmeng Jiao, Iehisa Nezu, Saburo Matsui. 2003. Numerical Simulation of Thermally Induced Gyres in Lake Biwa. Hydrological Processes. 17(14): 2947-2956. 5) Yosuke Yamashiki, Miyuki Matsumoto, Tetsuo Tezuka, Saburo Matsui, Michio Kumagai. 2003. Three-dimensional eutrophication model for lake biwa and its application to the framework design of transferable discharge permits. Hydrological Processes. 17(14): 2957-2973. 4) Alberto Calcagno, Yosuke Yamashiki, Ana Mugetti. 2002. Establishment of a non-governmental regional approach to La Plata River Basin integrated watershed management promoted throughout three international workshops supported by UN and Japanese agencies, led by ILEC. Hydrological Processes. 16(11): 2099-2114. 3) 山敷庸亮, 松井三郎, 禰津家久, 熊谷道夫. 2000. 琵琶湖環流の数値シミュレーション. 水工学論文集, 土木学会. 44:975-980. 1) Tamotsu Takahashi, Hajime Nakagawa, Tatsuo Harada, Yosuke Yamashiki. 1992. Routing Debris Flows with Particle Segregation. Journal of Hydraulic Engineering, ASCE. 118(11): 1490-1507.